A free-spirit studying psychology at the University of Sydney. Looking for a walk to unwind with, but not to bush-bash or travel far from the city? Let me suggest Cremorne Point Circuit. Just 2.7 kilometres in total, the track involves an easy, firm walkway along the waters of Sydney Harbour. Part of it has a slope complete with stairs for that dash of cardio, while the remainder is flat and just right for a Sunday stroll. While the whole route is rich in scenery, there are 6 good points to stop at and really take it all in. Not to mention the area is a 5-15 minute bus ride from the city, depending on traffic. One entrance to the circuit is from Bogota Ave, with the alternative being Hodgson Ave. In entering Cremorne Reserve from here, you'll commence your journey from a lookout. 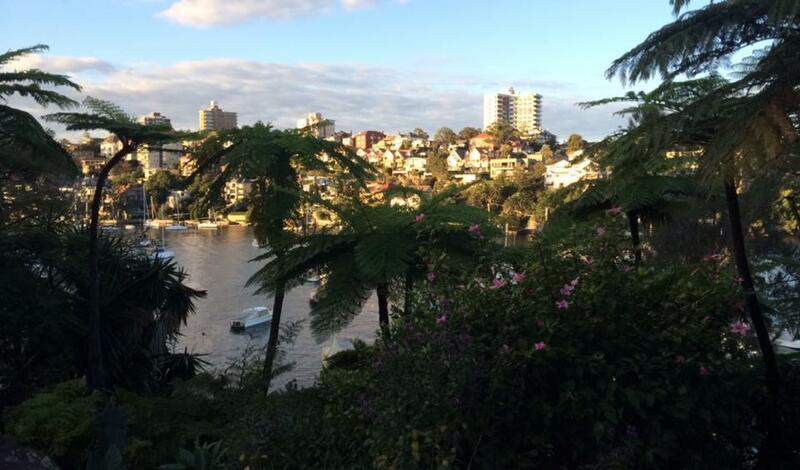 Well, an unofficial lookout, but it does offer a lovely glimpse of the quaint Shell Cove hugged by greenery. It was just sparkling in afternoon sunlight. Through the archway, you'll be guided by a tree tunnel along the edge of this inlet. 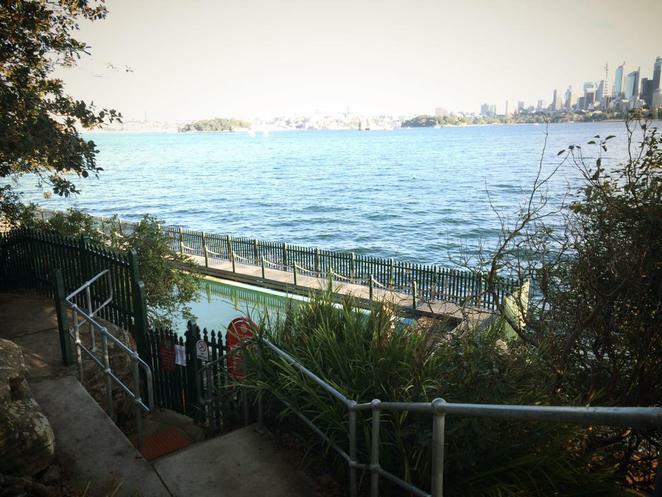 750 metres through sheltered bushland and open grassy patches ideal for picnicking with a view of Sydney's icons, you'll reach Maccallum Pool. Believed to have been made by Olympic Swimmer Frederick Lane, it was taken over by the Council in 1930. In summer it would make for a nice swim with a view. A further 150 metres along, you'll reach Cremorne Point Wharf which saw many paddlesteamers visit back in the day. It was then known as Cremorne Gardens. Today, you may grab a bite and some hydration from Sophie's Place Cafe. 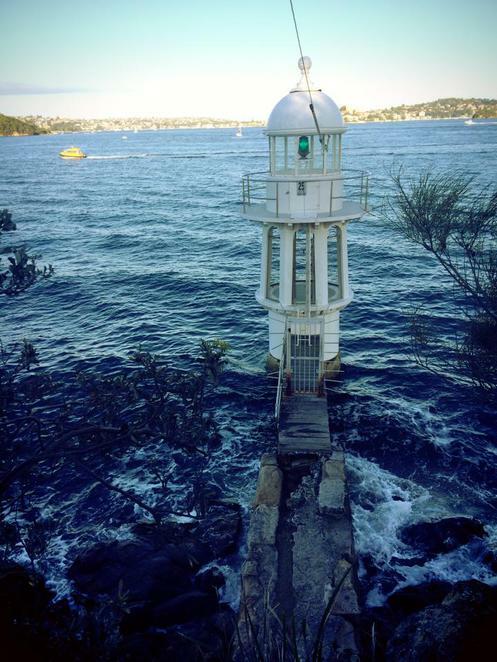 Head above the wharf to find Sophie's Lookout, dedicated to the long-time owner of this cafe. 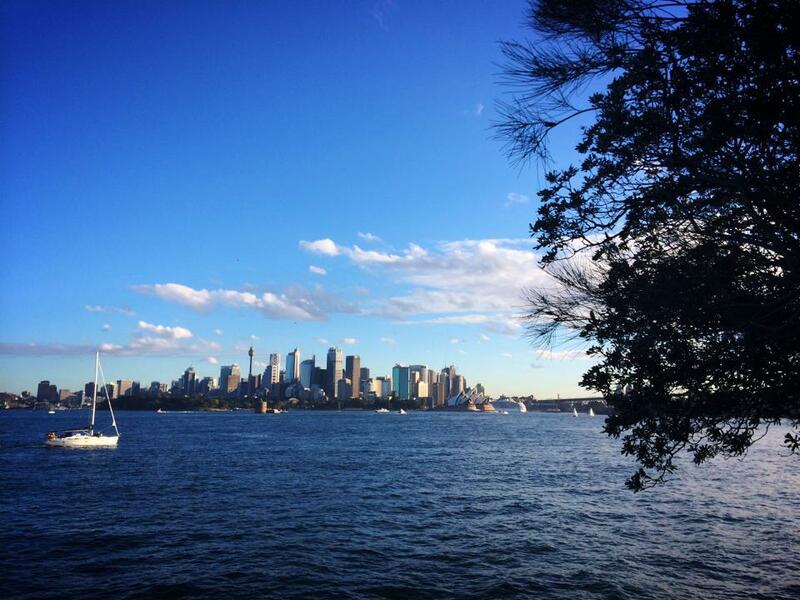 From here, enjoy a panorama of the harbour, with the city as a backdrop. Follow the track for another 200 metres to find a recreation area complete with playground and facilities, with the path then leading you into another pocket of bush. 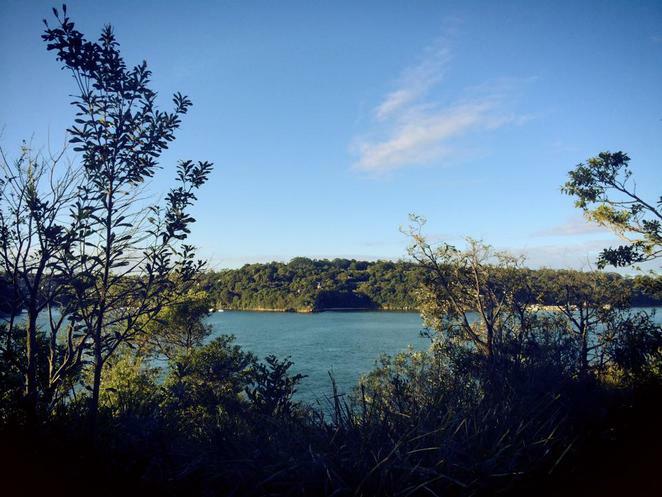 The narrow peninsular has the Harbour on one side, and on the other, lush land across the water where Taronga Zoo sits. Spot the secluded beaches. From the point, continue along the path for a short 370 metres and you'll find impressive homes on one side, and a seemingly well-kept garden on the other. This is known as the The Lex and Ruby Graham Garden, which sprouted in 1959 after a tropical Elephant Ear species was planted, and not only maintained but grown by the couple for decades after. The foreshore path will take you past some more exotic gardens, and eventually to some large sandstone boulders on the side of the bay. This is the entrance to Old Cremorne Wharf. 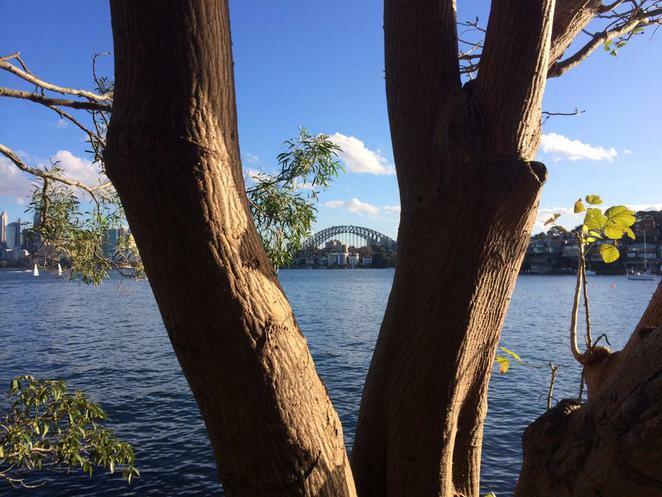 From here you'll have a view right into Mosman Bay. 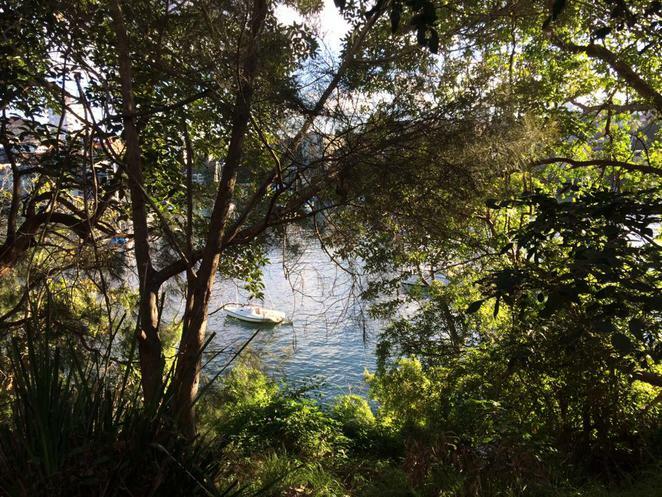 A cool and picturesque rainforest pocket lays between this point and Mosman Bay. If you follow the circuit in this direction, turn left from Old Cremorne Wharf to head up a series of steep stairs to work up a sweat before reaching Hodgson Street from where you'll be just under 400 metres from the start of the circuit. 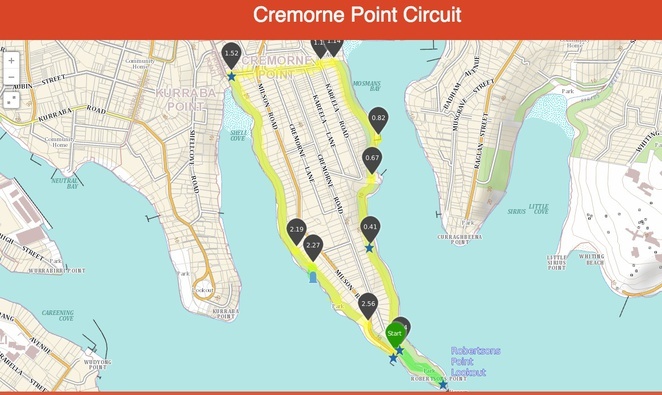 Enjoy coastal environment, scenic waterside views, and a little local history lesson throughout the circuit, as well-kept signs throughout the reserve offer information on the evolution of Cremorne. Beautiful photos, good article, well done!